Faruk graduated from London South Bank University, Faculty of Law Department with an LLB Law degree in 2015. Currently completing his LPC and LLM at The University of Law. 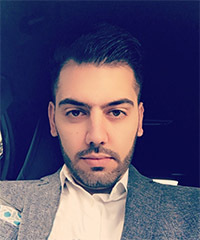 Faruk joined Miya Solicitors in August 2017 as a Paralegal in the Medical Negligence Department. Prior to his Paralegal role Faruk was an Administration Manager for Next Retail. In 2014 he played a vast part in creating ‘The Turkish Student Union UK’ and was part of the Law committee for 2014/2015. He also voluntarily worked at the LSBU Legal Advice Clinic, offering free legal advice to the members of the general public.